Africa-born Jane Nelson is an inspiring difference make in the field of Corporate Responsibility. Through the friend of a friend (the power of networking) I got connected to her allowing me to ask for some advice which I am sharing below. Currently, Jane is the Director of the Corporate Social Responsibility Initiative at Harvard’s Kennedy School of Government and she is involved in numerous other organisations. Recently, Jane also got featured in the book “The Difference Makers” published at Greenleaf Publishing (leading in CSR and sustainability books). The book tells the stories of how social and institutional entrepreneurs created the Corporate Responsibility movement. It’s an inspiring read to see how the personal stories formed these leaders’ life paths and allows the reader to identify with them. 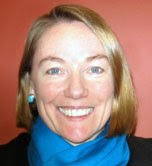 Author Sandra Waddock uses an interesting style interweaving the personal background of 23 leaders with how they came about to create their organizations and initiatives including the UN Global Compact, Global Reporting Initiative, Millennium Development Goals, SustainAbility, Human Rights Watch and many more. In the case of Jane, she grew up in South-Africa and Zimbabwe surrounded by rural poverty and racial tension. Early she developed a strong passion around issues of peace, non-violence, and sustainability. After Masters at Oxford she worked for Citibank and took a Sabbatical to attend the 1992 Rio Earth Summit. She never returned to the bank but then work for the World Business Council for Sustainable Development (WBCSD) in Africa and went onto her Corporate Responsibility career. Despite being an eminent person, Jane has remained humble and doesn’t overlook simple things. Jane realized “that that the poorest people in terms of income have an incredible spirit, even though they lack a lot materially and they also have major problem-solving skills and entrepreneurial skills”, an experience that I can confirm form village visits in Mali. Are you interested in making a difference in the field of Corporate Responsibility?